Despite all that, low-wage workers will return to picket lines and demonstrations Wednesday in a National Day of Action in the fight for $15 an hour. The date is 4 – 15. These are workers who live paycheck to paycheck, barely able to pay their bills, and certainly unable to cope with an emergency. They know the risk they’re taking by participating in strikes for pay hikes. They’ve seen bosses punish co-workers for demonstrating for raises. To lose a job, even one that pays poverty wages, during a time of high unemployment is terrifying. Still, thousands will participate Wednesday. That is valor. Unlike Hedges, Shanna Tippen was no activist before she got fired from her minimum-wage job in Pine Bluff, Ark. She was just trying to get by, and falling short by about $200 a month. Her boss at the Days Inn where she worked as a night shift jack-of-all-trades asked her to talk to a Washington Post reporter who had dropped by the hotel to discuss the state’s newly instituted 25-cent increase to the federal minimum wage of $7.25. Worker-exploiting employers like McDonald’s, Chipotle and Walmart have shown themselves to be craven in the face of courageous workers’ wage protests as well. Over the past few months, the National Labor Relations Board (NLRB) has filed charges against McDonald’s and Walmart alleging they violated workers’ rights, including threatening retribution against those who participated in strikes. “Generally,” Chipotle tries. Generally. Not in this particular case involving low-wage workers demonstrating for better pay. But, you know, generally Chipotle tries to obey the law. The Brookings Institute calls this the ripple effect. The pay increase at the bottom ripples all the way up the pay scale. 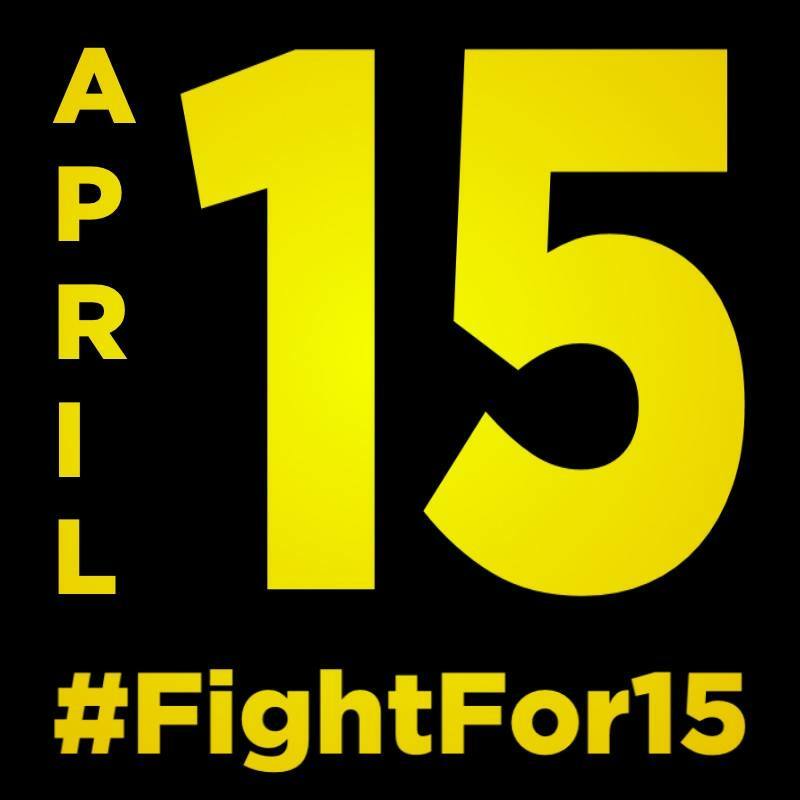 If for no other reason than self-interest, join the gutsy minimum-wage workers at a Fight for $15 event Wednesday.